Can I exercise with a metatarsal fracture? | Podiatry Associates, P.C. Can I exercise with a metatarsal fracture? ?How long will it take for a metatarsal fracture to heal? ?Can I exercise with a metatarsal fracture? If you have a full metatarsal fracture, or even a stress fracture, you need to put most exercise on pause to allow your lower limb to heal. 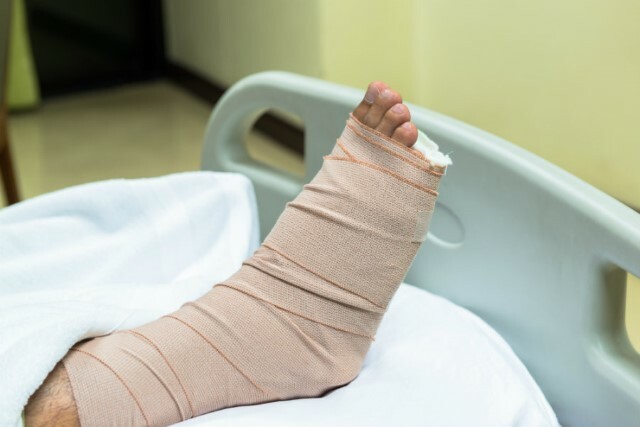 Most active athletes don’t like to hear that kind of news, but continuing to put pressure on your feet after a foot fracture of any kind will only make the injury worse. The bones need to heal first. For a metatarsal fracture, this may mean a few weeks with your foot in a special boot or cast with limited-to-no weight bearing at all. When you’re able to exercise, you’ll probably start with low-impact activities, like water aerobics or swimming. As your foot continues to recover, you’ll be able to add exercises like using an elliptical or riding a bike. Then you’ll need to start rehabilitating your foot and supporting muscles to handle your regular activities. Once your bones are healed, you’ll be able to start easing into your normal routines. If you’re concerned about staying fit with a broken foot, let us know at Podiatry Associates, P.C. and we’ll help you with your recovery therapy. Just call (303) 805-5156 to make an appointment.